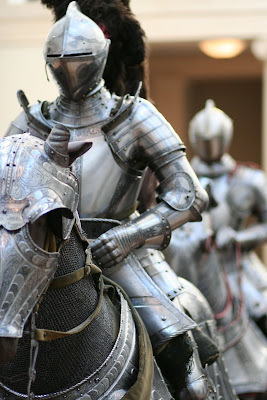 And then, a room full of knights in medieval armour. I love medieval history. It's great to be here! I have to say those knights on horseback were wicked!! Why do you say "artefacts that no contemporary hand could recreate..." - ? they have today's knowledge at their finger tips, so why wouldn't they be able to reproduce such items? I'm just puzzled why you said that.